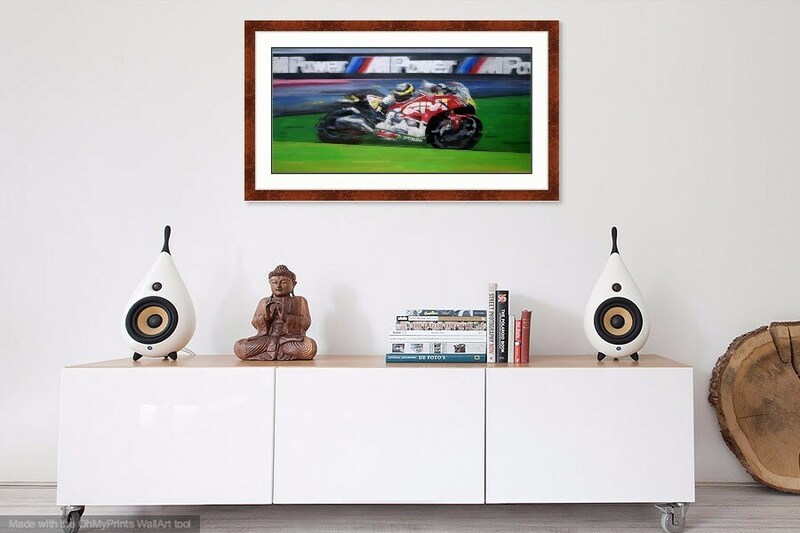 In another absorbing chapter in a fascinating 2016 MotoGP season, Cal Crutchlow rode a superb race to finish first in the Australian MotoGP at Phillip Island - his second victory of 2016 and his first victory in the dry. 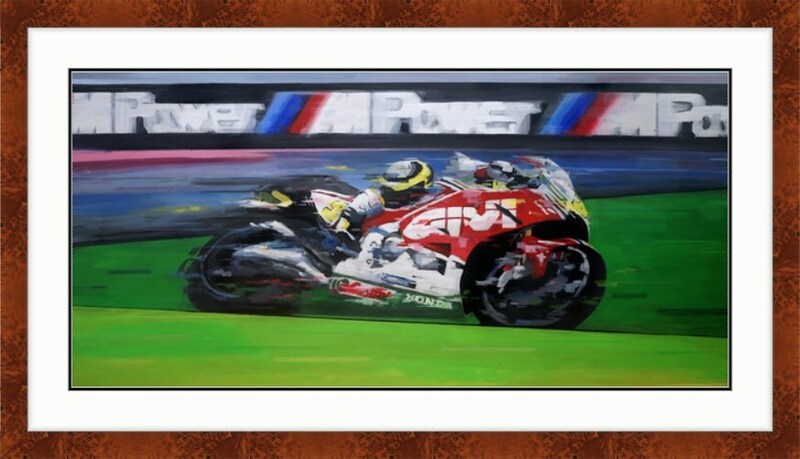 The artist’s original Acrylic-on-panel painting depicts Crutchlow's speed and motion as the British LCR Honda rider managed grip on the cooling track and stayed upright after Marc Márquez crashed out ahead of him. He held the pace until the end to stay ahead of Valentino Rossi who charged up to 2nd from 15th. The original Acrylic-on-gessobord painting measures 36"x18"x1". Each signed Giclee print is individually produced on canvas by the artist utilizing professional imaging technologies and methods. As a result of meticulous standards, the Giclee retains a beautiful painterly quality that preserves minute and subtle tints, blends and detail of the artist's original painting. The meticulous reproduction process and the use of archival pigments and museum-quality canvas produce a stunning piece that could easily be mistaken for an original. Frame is shown for reference. 4th Picture is of the artist's original. Artwork will arrive rolled in a durable shipping cylinder. Because canvas is flexible, it will not retain a rolled shape like paper does (though it may require minor flattening prior to being displayed).